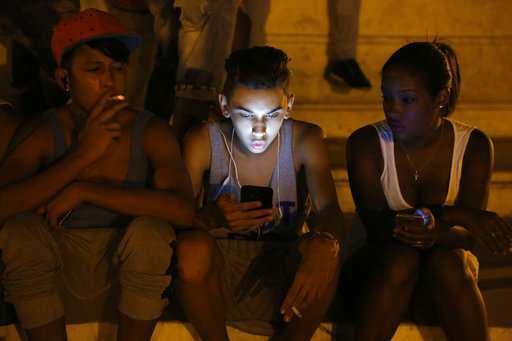 Cuba announced Tuesday night that its citizens will be offered full internet access for mobile phones beginning this week, becoming one of the last nations to offer such service. Mayra Arevich, president of the Cuban state telecom monopoly ETECSA, went on national television to say Cubans can begin contracting 3G service for the first time Thursday. The communist-governed island has one of the world's lowest rates of internet use but that has been expanding rapidly since Presidents Barack Obama and Raul Castro declared detente in 2014. Expansion has not slowed with President Donald Trump's partial rollback of relations. Those prices are roughly in line with global standards but still out of reach for many Cubans who subsist on state salaries of about $30 a month.